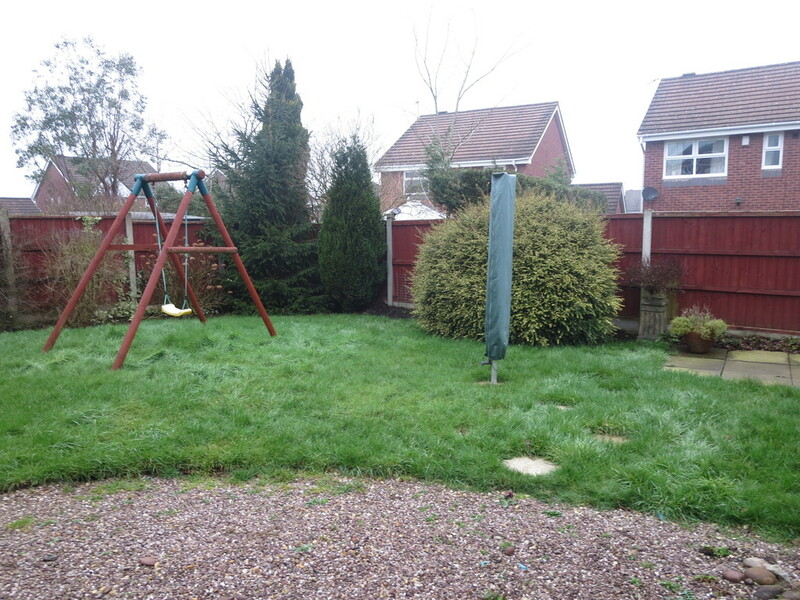 This well presented spacious detached family home occupies a prime cul-de-sac position within a much sought after residential location. 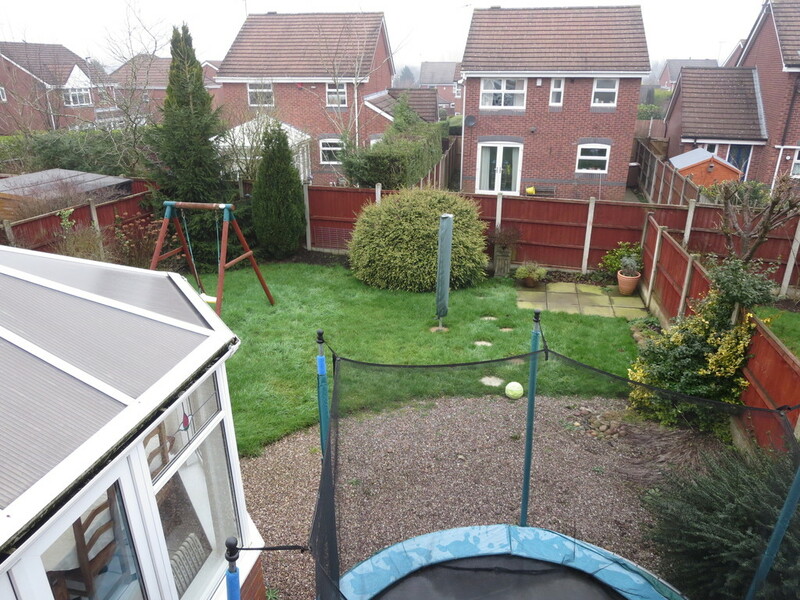 The property is conveniently situated close to local amenities, schools, commuter and transport networks. 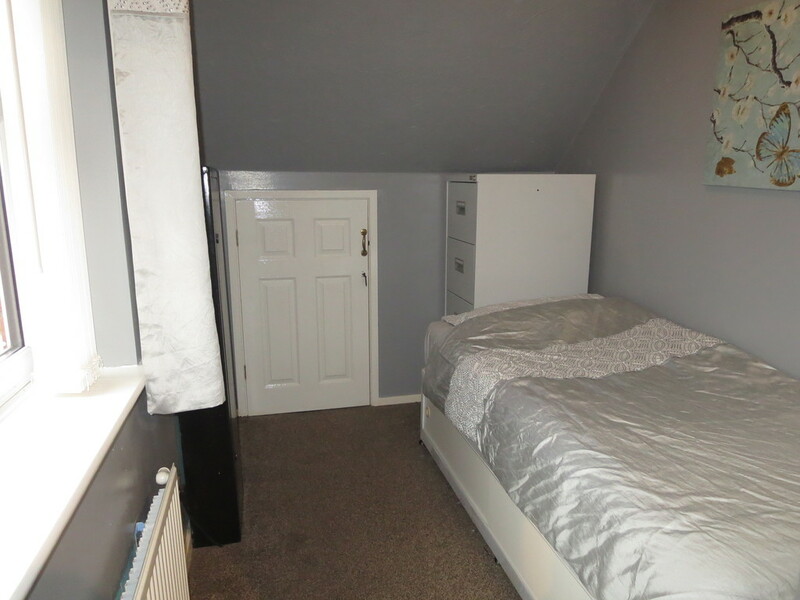 The accommodation comprises entrance hall, cloakroom w/c, lounge, dining room, conservatory, kitchen, utility room, four good sized bedrooms, ensuite and family bathroom. Gas central heating, upvc double glazing, driveway, garage and rear garden. 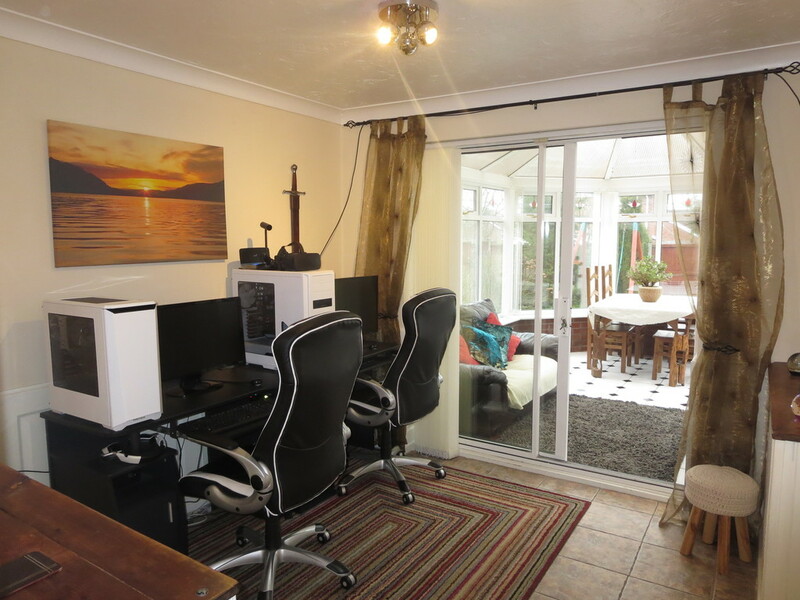 Viewings are strongly recommended to appreciate what this property has to offer. 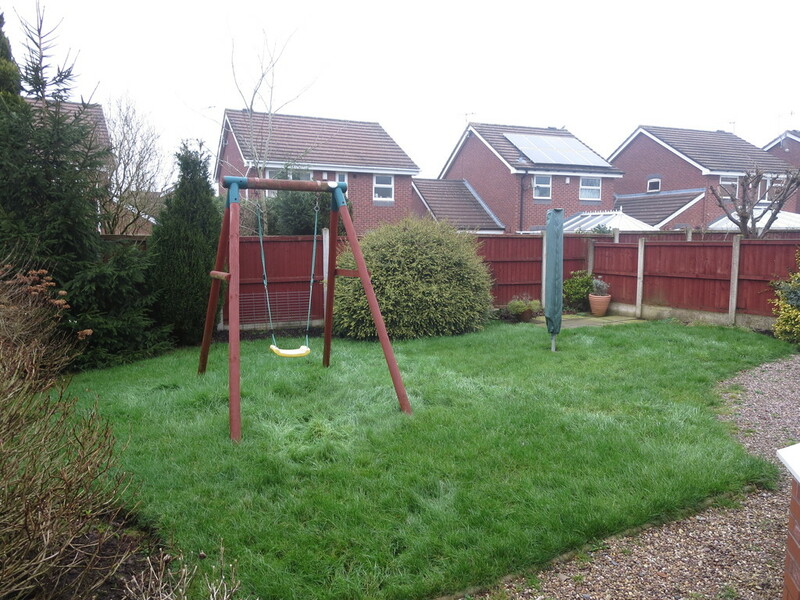 PROPERTY DESCRIPTION This well presented spacious detached family home occupies a prime cul-de-sac position within a much sought after residential location. 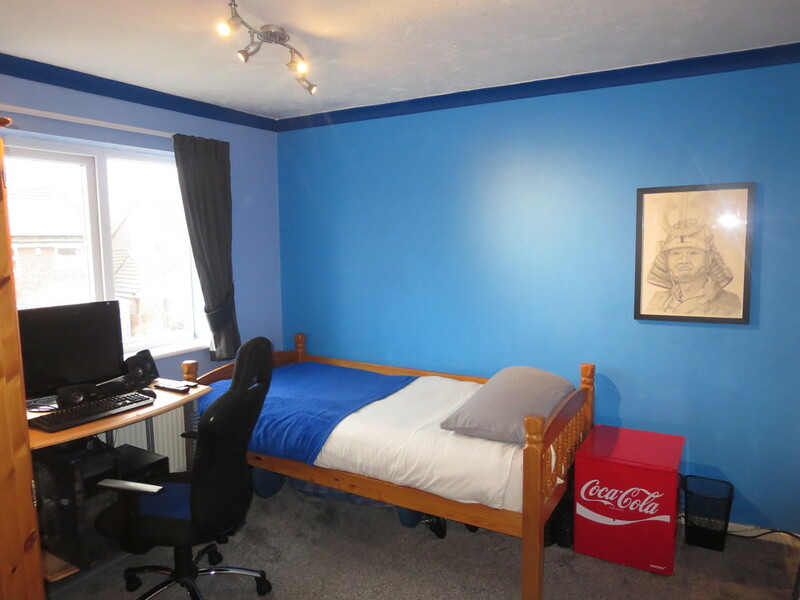 The property is conveniently situated close to local amenities, schools, commuter and transport networks. 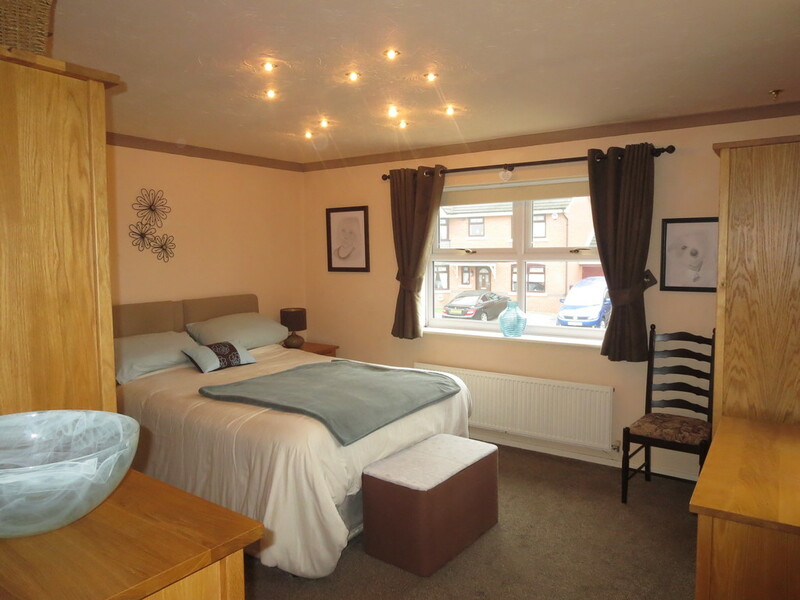 The accommodation comprises entrance hall, cloakroom w/c, lounge, dining room, conservatory, kitchen, utility room, four good sized bedrooms, ensuite and family bathroom. 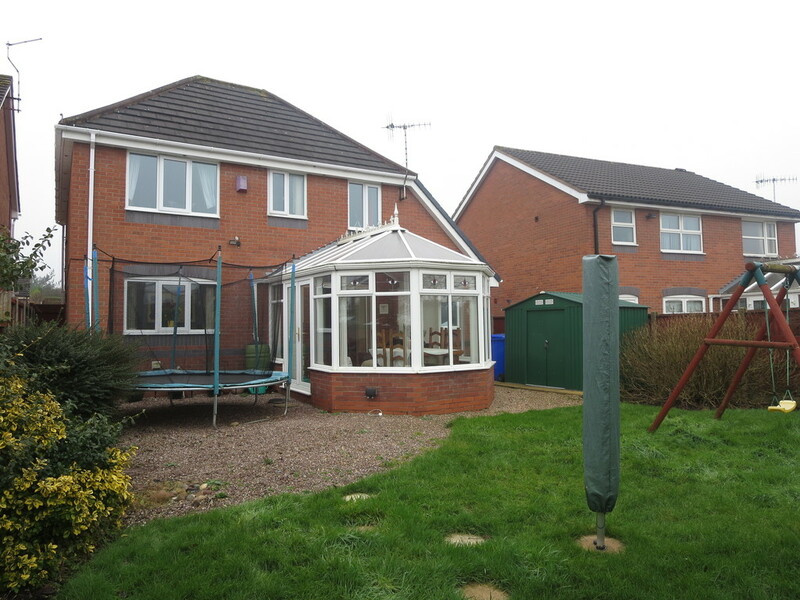 Gas central heating, upvc double glazing, driveway, garage and rear garden. 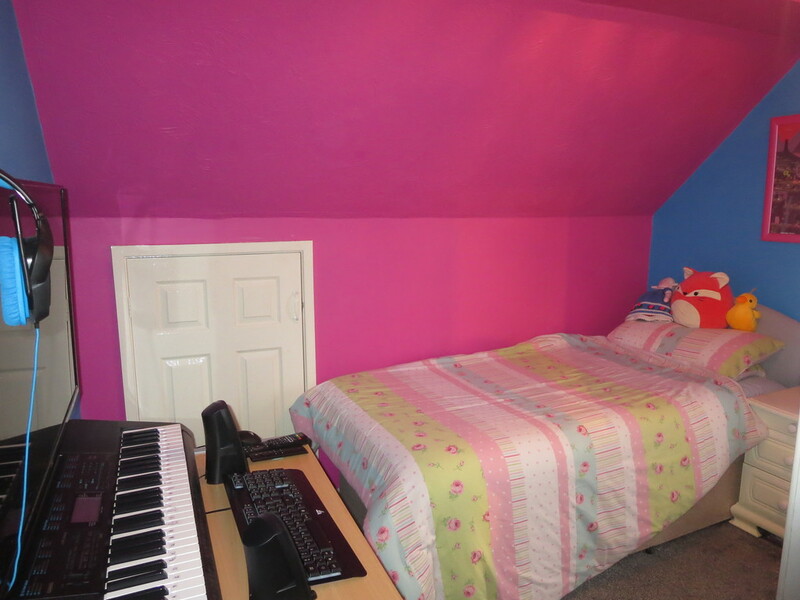 Viewings are strongly recommended to appreciate what this property has to offer. ENTRANCE HALL Double glazed entrance door to the front elevation, tiled floor, radiator, understairs storage cupboard and staircase leading to the first floor. 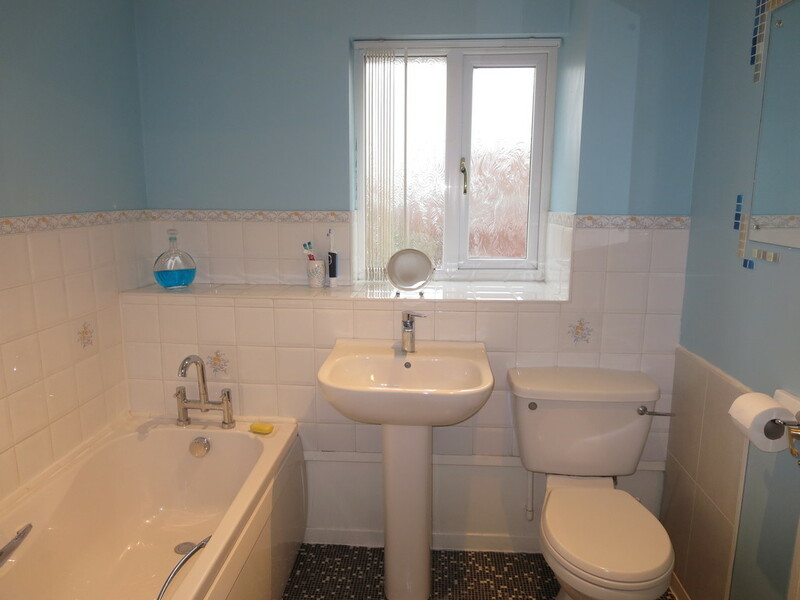 CLOAKROOM W/C Low level w/c, wall mounted wash hand basin, tiled floor, radiator and upvc double glazed window to the front elevation. LOUNGE 13' 10" x 12' 1" (4.22m x 3.68m) Gas fire with feature hearth and surround. 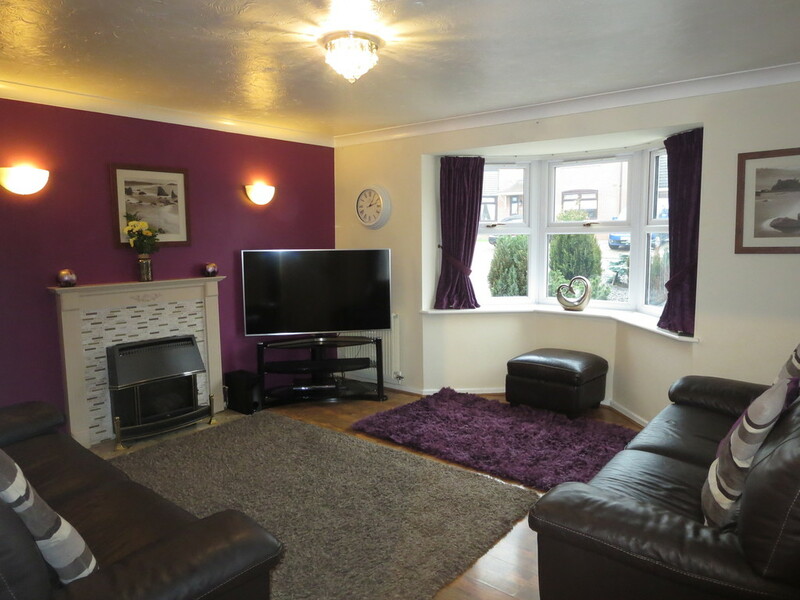 Wood effect laminate flooring, television point, radiator, coved ceiling, upvc double glazed window to the side elevation and bay window to the front elevation. DINING ROOM 9' 11" x 8' 11" (3.02m x 2.72m) Tiled floor, radiator, coved ceiling and upvc double glazed sliding doors to the conservatory. 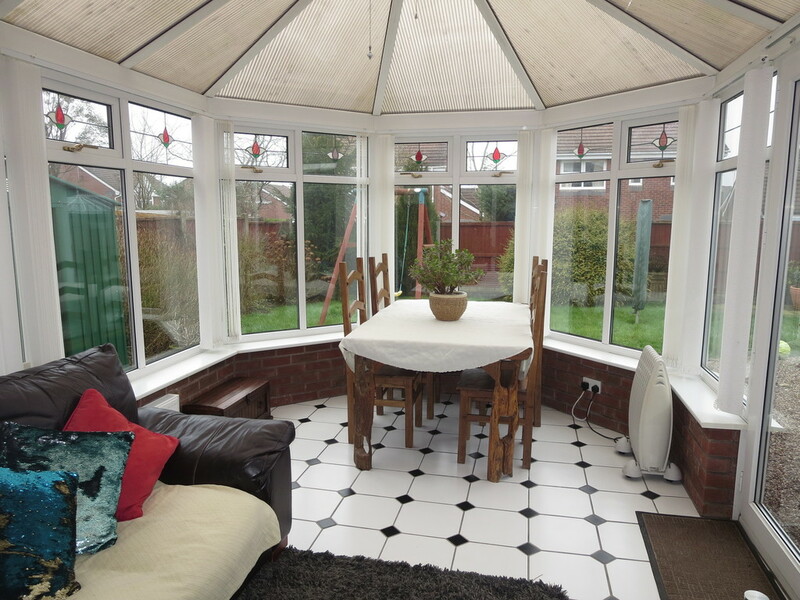 CONSERVATORY 13' 4" x 9' 4" (4.06m x 2.84m) Tiled floor, radiator, upvc double glazed windows and french patio doors to the side elevation. 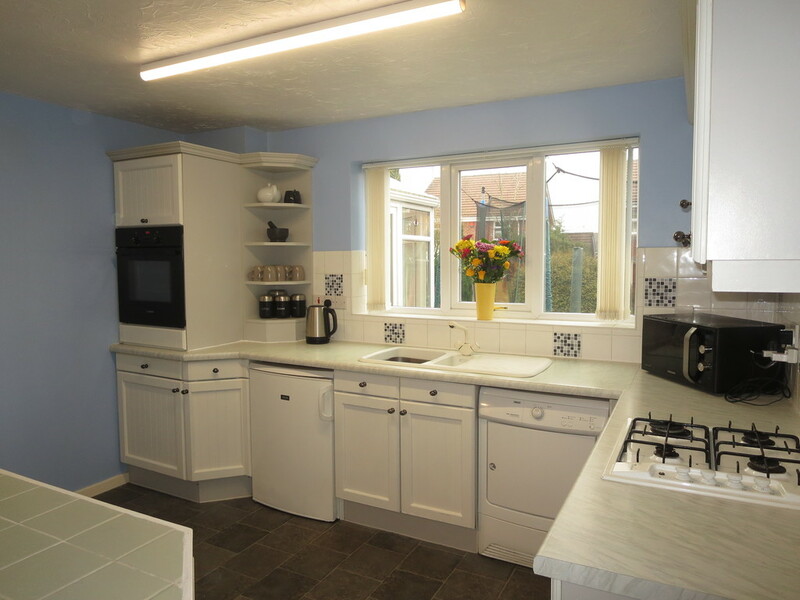 KITCHEN 11' 9" x 9' 6" (3.58m x 2.9m) Fitted base units, drawers and matching wall mounted cupboards. 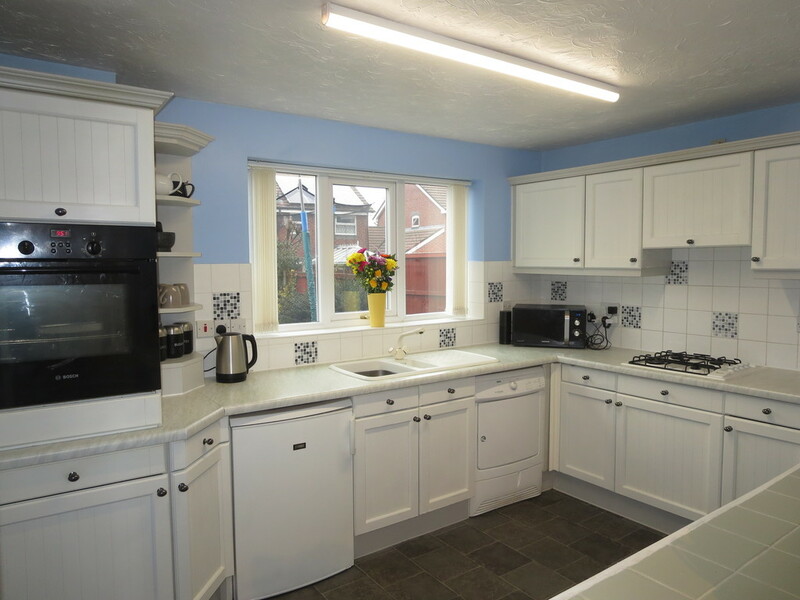 Work surfaces incorporating inset one and a half bowl sink and single drainer with mixer tap. Built in electric oven, gas hob and extractor fan. Breakfast bar, part tiled walls, radiator and upvc double glazed window to the rear elevation. UTILITY ROOM 6' 5" x 4' 6" (1.96m x 1.37m) Stainless steel sink and single drainer unit. Plumbing for washing machine, part tiled walls and upvc double glazed entrance door to the side elevation. FIRST FLOOR LANDING Airing cupboard and loft access. BEDROOM ONE 13' 10" x 12' 7" (4.22m x 3.84m) Radiator, coved ceiling and upvc double glazed windows to the front and side elevationS. ENSUITE Three piece suite comprising shower cubicle, pedestal wash hand basin and low level w/c. Radiator and upvc double glazed window to the side elevation. BEDROOM TWO 9' 11" ext to 12' 2" x 9' 8" (3.02m x 2.95m) Radiator, coved ceiling and upvc double glazed window to the rear elevation. BEDROOM THREE 9' 9" x 8' 3" (2.97m x 2.51m) Radiator and upvc double glazed window to the rear elevation. BEDROOM FOUR 8' x 6' 6" (2.44m x 1.98m) Radiator and upvc double glazed window to the rear elevation. BATHROOM Three piece suite comprising panelled bath, pedestal wash hand basin and low level w/c. 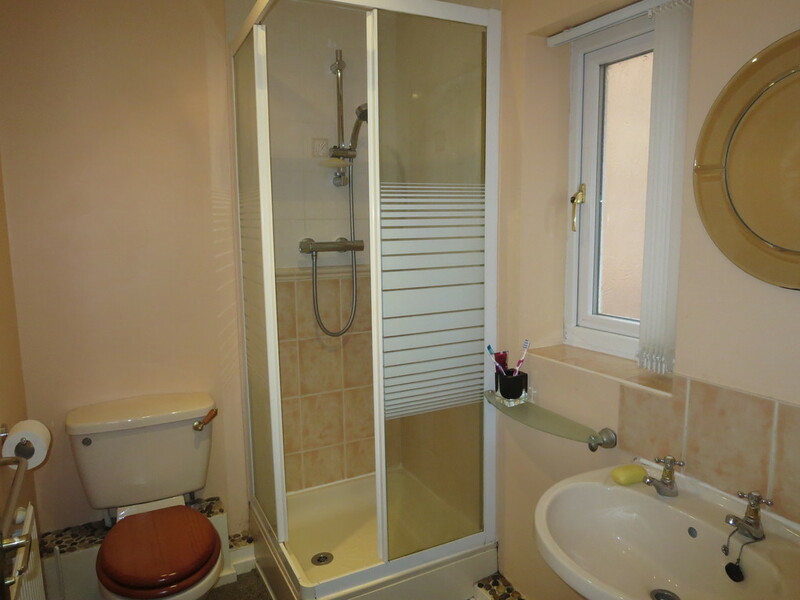 Part tiled walls, radiator, coved ceiling and upvc double glazed window to the rear elevation. 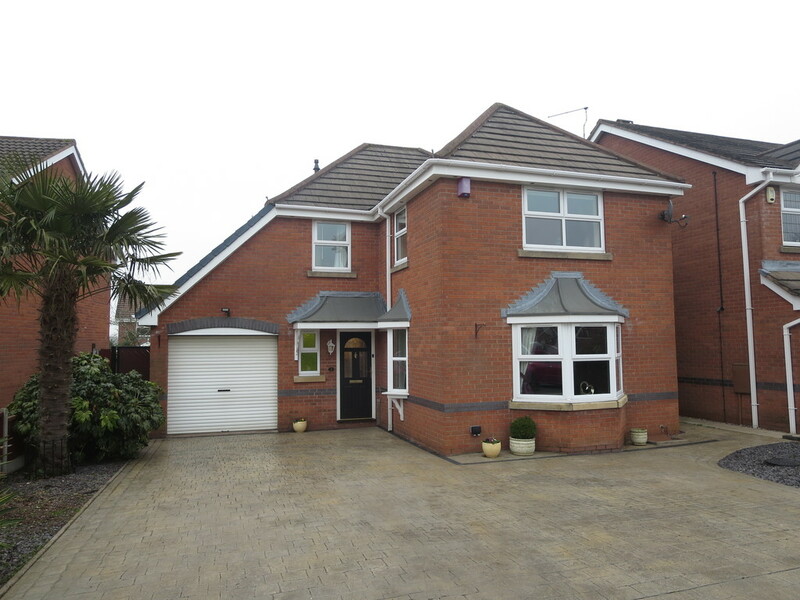 EXTERIOR To the front of the property there is a paved driveway with decorative slate chipping borders, providing ample off road parking and leading to a garage with roller door, power and lighting. There is a gate to the side for rear access which leads to an enclosed garden mainly laid to lawn with shrub borders and low maintenance gravel patio area. By prior arrangement with Louis Taylor. Please telephone 01782 622677 to arrange a mutually convenient appointment. Nothing in these sales details is intended to indicate that any carpets or curtains, furnishings or fittings, electrical goods (wired or not), gas fires or light fitments, or any other fixtures and fittings not expressly included, form part of the property being offered for sale. The services and appliances have not been tested. Please note room sizes shown are only intended as an approximate guide, and should not be relied upon. When ordering carpets or fitments you should always have the areas measured by the appropriate supplier. Photos are reproduced for general information and it must not be inferred that any item is included for sale with the property. (Placing your offer) All offers should be made to the sole selling agent at our Newcastle branch. This procedure is part of our agreement to the seller and should be carried out before contacting a bank, building society or solicitor. Any delay may result in the property being sold to someone else, and survey/legal costs being unnecessarily incurred. These sales particulars are provided as a general outline and are for guidance only, and do not form any part of an offer or contract. Intending buyers should not rely on them as statements of fact. No one working at Louis Taylor has the authority to make or give any representation or warranty in respect of the property. Thinking of selling? Established 1877 Louis Taylor have the local knowledge and experience to offer you a free market appraisal of your property without obligation. It is worth noting that we may already have a purchaser waiting to buy your home. specific quotation please contact our Survey Department on 01782 260222 (please note that we are unable to provide a survey on properties that we are selling).